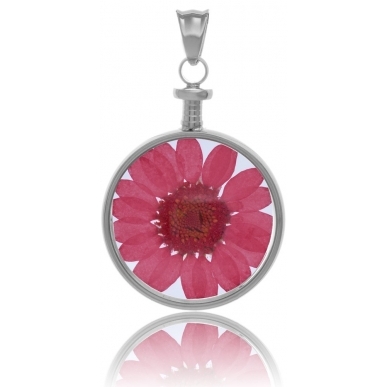 BLUMENKIND. 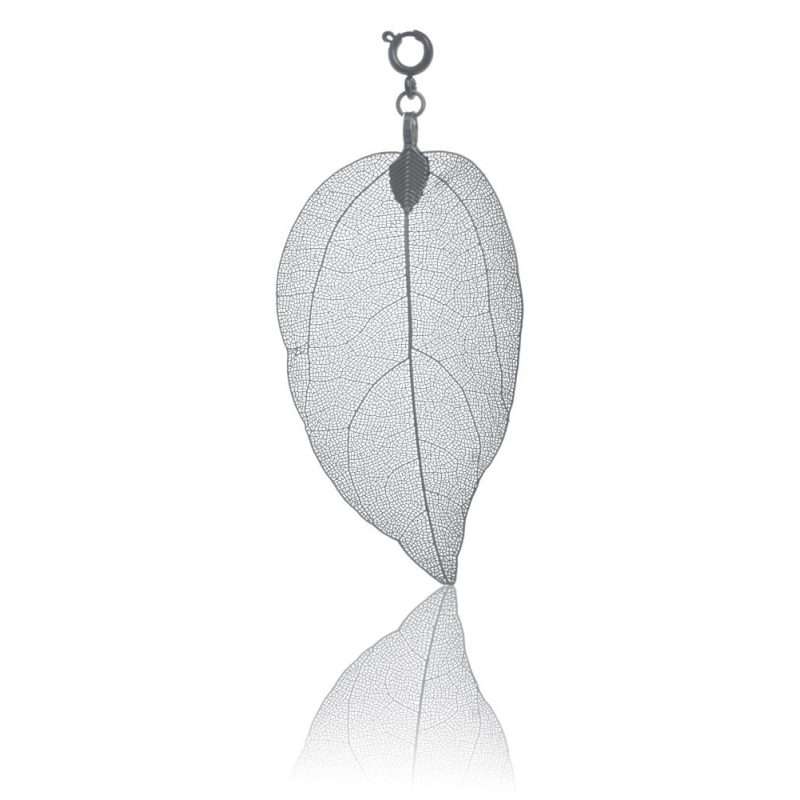 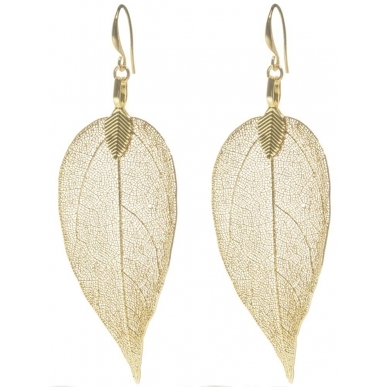 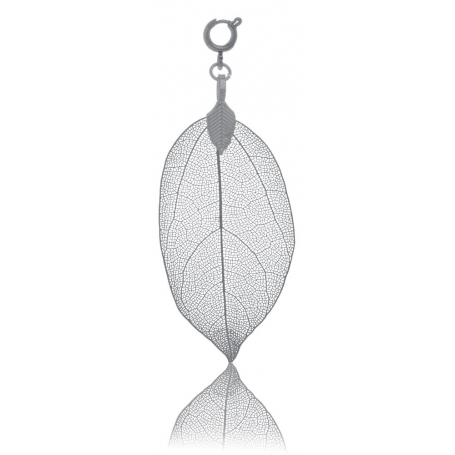 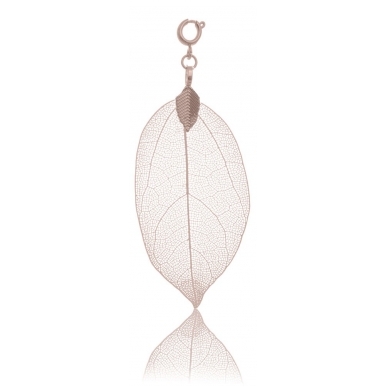 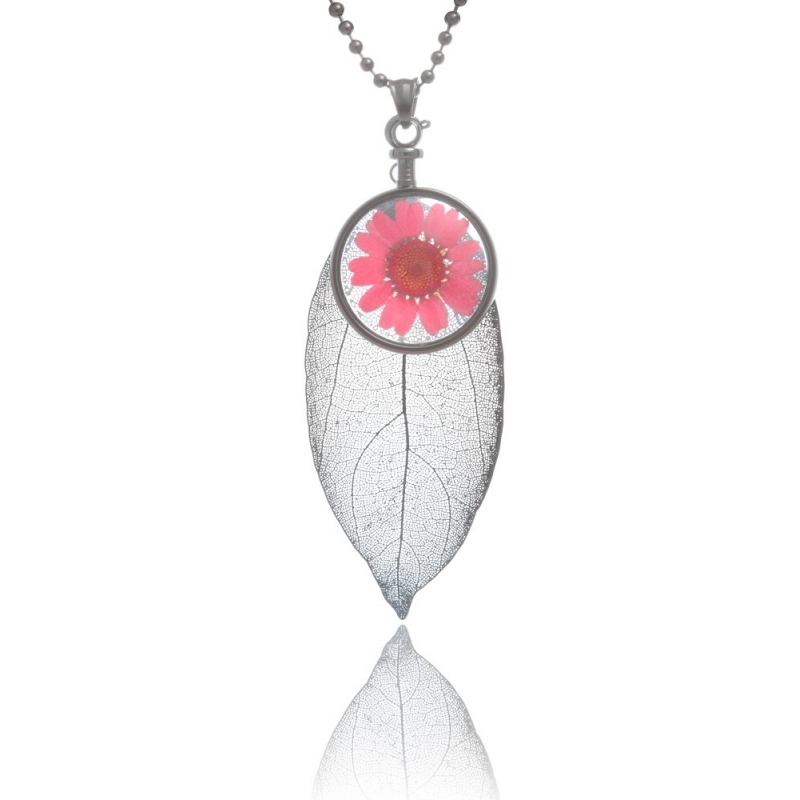 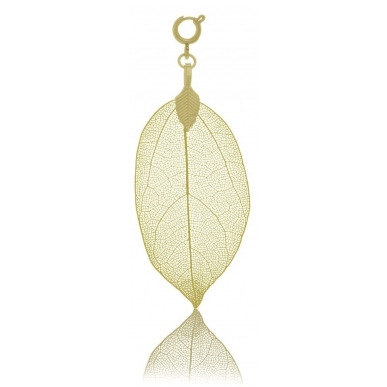 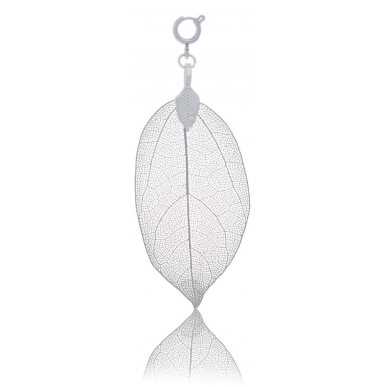 Stainless steel dark grey pendant leaf coming from the Bodhi tree. 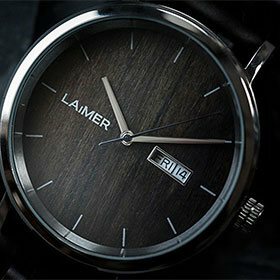 Dark grey plated by a specific ionization process.